The farms history has shown that it is in a constant state of evolution and its success has been down to its ability to adapt to new farming practices and technological advances. We will only adopt an idea or piece of technology if there is a clear advantage to the business and its future sustainability. HGCA (Home Grown Cereals Authority) research into precision farming techniques has been a great resource when making these decisions and has helped us create an arable service that combines over 50 years experience with new technologies. 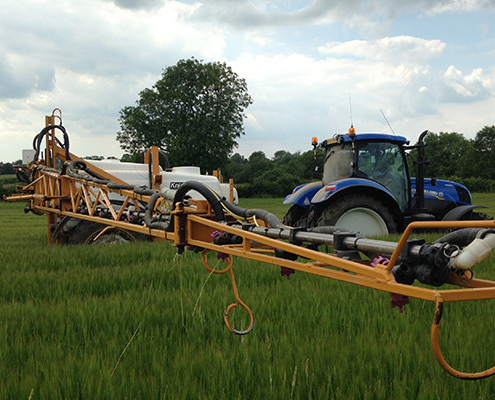 Since 2009 our Knight sprayer has used a GPS service run by Raven for section control, vario-rate and field mapping. 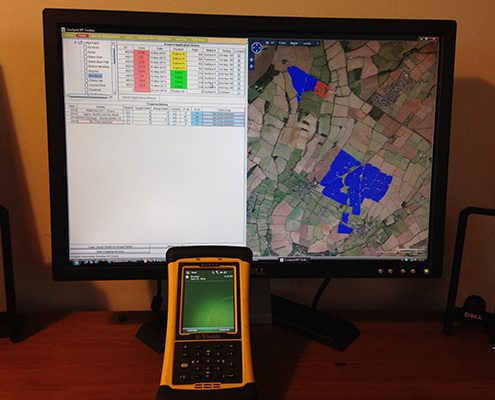 We have been able to accurately map the area of ‘workable’ field that is cropped and in most cases reduced the area that is sprayed thus reducing chemical, seed and fertiliser bills. 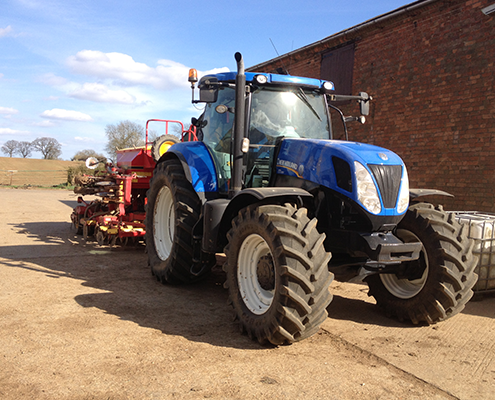 Both cultivator tractors are equipped with auto guidance which has helped us increase productivity and efficiencies for ourselves and our customer’s. With reduced operator fatigue, the operator can focus on ensuring the machine they are using is working to the best of its abilities. Using a Nomad from Trimble we are able to vario-rate all input materials that go into growing a crop whether it be Seed, Nitrogen or P&K, to match the different soil types that can be present in one field. The aim is to achieve a uniform plant population across the field whilst managing their different input requirements depending on its soil type. Click here to read more. 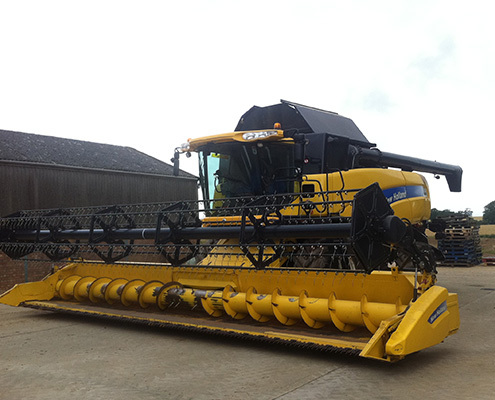 Our combine has the facility to create and record yield maps whilst harvesting. The analysis of these maps is a good ‘yard stick’ in determining the effectiveness of variable rate applications, determine P&K replenishment levels for the next year and evaluate the cost of localised damage through pigeons, poor pH or flooded areas. 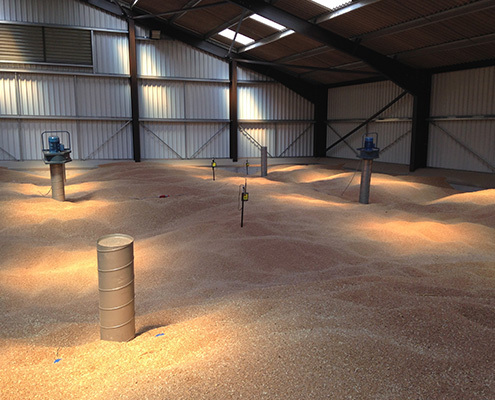 Since 2010 we have adopted a wireless grain monitoring system by Martin Lishman (Barn Owl Wireless), which has enabled us to constantly monitor and record the grain for ourselves and our customers. The data storage is accessed through the internet where we can manage each store and fan individually to automatically come on at a set trigger point, if cooling this is a temperature difference of 5 degrees between the grain and ambient air temperature.